The Department of Homeland Security released a report this month entitled "Efforts by DHS to Estimate Southwest Border Security between Ports of Entry". This is in accordance with the Consolidated Appropriations Act (2017), which requires DHS to publish statistics on enforcement measures on the border with Mexico. The report analyzes six measurements of enforcement: apprehension rate, deterrence rate, border crossing costs, apprehension numbers, known got-aways, and estimated illegal inflows. These categories, with the exception of apprehension numbers, are all estimates produced by DHS. Many of the estimates used data collected specifically by the U.S. Border Patrol, although there is a heavy dependence on data obtained through third-party researchers. These surveys are Princeton University's "Mexican Migration Project", University of California, San Diego's "Mexican Migration Field Research Program", and El Colegio de la Frontera Norte's "Survey of Migration at Mexico's Northern Border". These surveys are studies of individual aliens' experiences entering the United States and interacting with law enforcement and their lives inside the United States. In these equations, apprehensions are the number of actual apprehensions Border Patrol makes in a given year. "Turn backs" are aliens who return to their country-of-origin and do not return. "Got aways" are aliens who enter the country and are not caught by Border Patrol, thereby remaining in the country illegally. For TIR, "estimated illegal entries" is a figure calculated from internal administrative and survey data. DHS mentions that TIR data estimates are still "working to validate or refine a methodology for estimating total illegal inflows." This means they may not be entirely reliable. But both the TIR and the IER estimates show the same thing: The apprehension rate has increased significantly since 2006, from 50-70 percent to an estimate of 75-85 percent. This is great news for advocates of border security, as it shows that efforts in the past decade to beef up border enforcement have led to positive results. The DHS report attempts to estimate the deterrence rate for would-be aliens. This measures the rate of aliens who do not attempt to return to the United States after initial apprehension. DHS uses two methods to estimate the deterrence rate, one being recidivist apprehension data and the other being general survey data. Both methods show that the deterrence rate is increasing, which is another good sign for enforcement efforts. In 2006, over 30 percent of apprehended aliens were previously caught, indicating a high estimate of returning aliens. In 2016, that same measurement was just over 10 percent, indicating that the number of previously deported aliens attempting to return to the United States could be decreasing. The second method is from survey data of aliens. That data indicates that only 10 percent reported themselves unlikely to attempt to enter the country within 90 days in 2006. In 2016, that number increased to 60 percent, again indicating that increased enforcement could contribute to the decision by aliens to not attempt illegally migrating to the United States again. Perhaps some of the most fascinating data in the report comes from the information regarding the use and cost of smugglers to enter the country. Recently, the use of smugglers has come under intense scrutiny following the deaths of 10 aliens who traveled across the border in the back of an unventilated truck without air conditioning. Unfortunately, this data indicates that smuggling is more popular than ever with aliens trying to enter the country. Using survey data, DHS estimates that smugglers handle close to 95 percent of illegal border crossings. That is an enormous increase since the 1970s, when only 40 percent of aliens used smugglers. Given that most, if not all, smugglers work for drug cartels, the situation has led to enormous profits for the cartels who run border-crossing operations. However, there is a positive side to this equation. Because of increased enforcement measures on the part of the United States, the cost of hiring a smuggler has rapidly increased. In 2001, the average rate of hiring a smuggler was $2,600 per alien. Today, that rate has climbed to over $3,500. Market forces are at work — even in the illegal market of migrant smuggling. Increased costs associated with crossing the border, and increased demand, have caused the price of hiring a smuggler to rise sharply. With current trends, if enforcement efforts on the border continue to increase then smugglers may find the cost of transferring migrants across the border too costly to justify. Likewise, migrants may be less likely to attempt a border crossing if they cannot afford the exorbitant fees associated with hiring a smuggler. The U.S. Border Patrol keeps accurate tallies of this figure, and it is the only non-estimate in this report. It is also the only number that indicates a sharp fall in recent years. Between 1984 and 2008, apprehensions of aliens at the border were well above 800,000 a year, and frequently topped a million a year. Since then, apprehensions have been closer to 400,000 a year. There are a few reasons for the drop in apprehensions. First, official policy under the Obama administration kept Border Patrol agents from detaining individuals who claimed to have been present in the country since 2014. This de facto catch-and-release stance created a large amount of aliens who should have been detained and removed, but were not. According to Brandon Judd, president of the National Border Patrol Council, Border Patrol agents had their hands tied and were unable to effectively do their jobs. A second reason for the fall in apprehensions has been that fewer previously deported aliens are attempting to re-enter the United States — which we saw in the "Deterrence Rate" section. As the estimated deterrence rate has climbed to 60 percent, fewer and fewer deported aliens are willing to risk crossing the border, which naturally means there would be fewer apprehensions. Only time will tell if this number continues to hover around the 400,000 yearly mark. President Trump has reversed the Obama policy, which has allowed Border Patrol agents to apprehend and detain more individuals. DHS describes "got aways" as aliens that are not apprehended by Border Patrol and begin to assimilate in society. The description for the calculation of this number is vague. Border Patrol estimates this number from "direct observation, physical evidence, and intelligence data". Assuming that the estimates are correct, got aways have fallen significantly since 2006. In that year, Border Patrol estimated over 600,000 aliens successfully crossed the border and evaded USBP. By 2011, that number had evened out to just under 100,000, where it has remained until today. DHS identifies the equation for illegal inflow as the odds of successful entry multiplied by apprehensions. Like got aways, this number peaked around 2006 and leveled out at a much smaller rate by 2011. In 2006, DHS estimated that 1.8 million people entered illegally and that only 200,000 entered illegally in 2016. If this estimate is accurate, that is a good sign that current DHS enforcement measures are moving in the right direction. 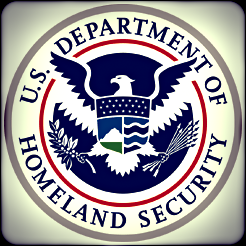 The summary of the report indicates that DHS believes its border security enterprise to be working and improving. In each of the five estimate categories, DHS and the Border Patrol appear to be reversing some worrying trends from the past decade. If the estimates are accurate, then the enforcement efforts by DHS and Border Patrol have made it more difficult for would-be illegal aliens to enter the country.